Art by Ian Stead. Cover layout by Stephanie McAlea. 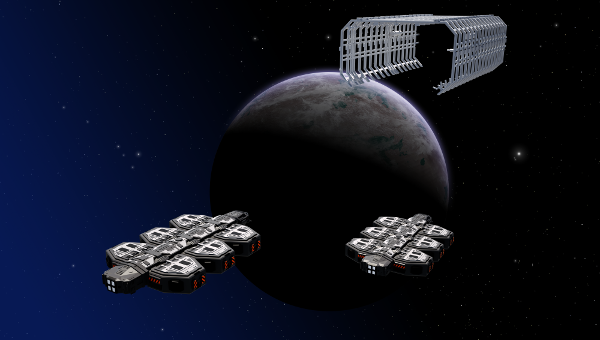 Here we see a pair of Atlas-class freighters approaching an orbital repair station to receive upgrades after the captains received a copy of the Anderson and Felix Shipbuilders' Optional Components Guide. 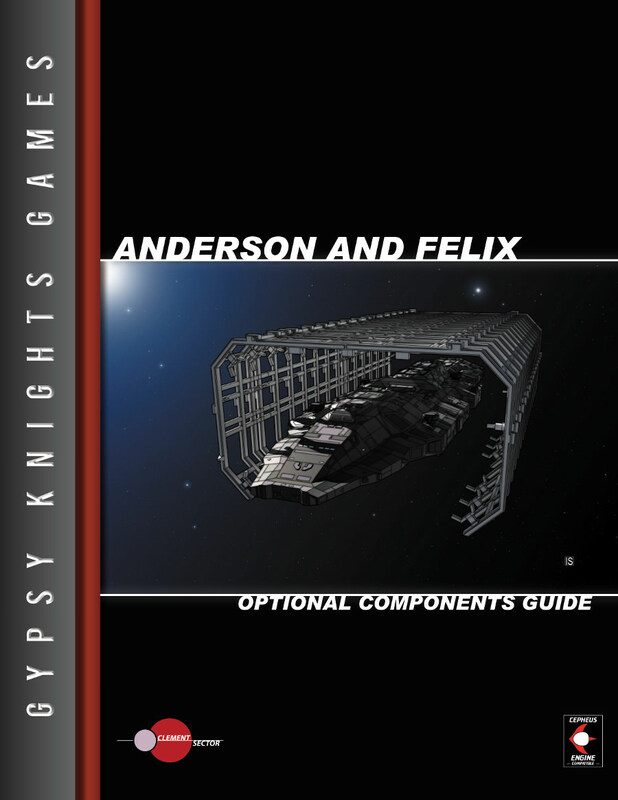 The Anderson and Felix Optional Components Guide will be available from Gypsy Knights Games on May 4. The book will include such options as adding astrographic cartography suites, boarding pods, point defense drones, as well as heavy railgun bays and spinal mounts. The book even provides some alternate STL and FTL drives for those who wish to change the setting for their own personal use. Coupled with the Anderson and Felix Guide to Naval Architecture (which is currently part of our Bundle of Holding offer), your shipbuilding project will have the green light! Art seen here by Ian Stead.